As a nurse I also observed the behavior of every patient that I handled especially with their recommended diet. A crucial part of an individual who was admitted at the hospital for treatment or any other diagnosis. As well as people who have a growing health crisis in any walk of life. "Hidden hunger" is define as vitamin and mineral deficiency which is the leading cause of malnutrition in the world today. It strikes at the very core of individual's health and vitality. This malnutrition problem is evident in developing countries, that includes Philippines, and it poses a serious challenge to human capital development. To fight this widespread battle of malnutrition, the government lead by Senator Edgardo J. Angara and Department of Education Secretary Bro. Armin Luistro spearheaded the 'Oh My Gulay: School Vegetable Garden' campaign. The private sectors has rallied also to support the said campaign by sponsoring school vegetable gardens in public elementary schools around the country and to formalized all this, I am privileged to witnessed the 'Donor's Signing' held at the Sofitel Philipppine Plaza early this morning.Some prominent people in the field of business and profession are present. Ms. Jose Paule OMG's Executive Director introduced the donors followed by the General Manager of East West Seed Co. Dr. Mary Ann Sayoc who gave a brief presentation of the OMG! School Garden Program which added more excitement for the results of this project, as the audio-video presentation was playing.The donor's signing was then executed right-after. For this school year, BDO Foundation, Asian Terminals Inc, Sunwest Care Foundation, Infant Pediatrics and Nutrition Association of the Philippines (IPNAP) and Aboitiz Foundation will adopt a total of 40 public elementary schools across Luzon, Visayas and Mindanao. The school gardens will be funded for the establishment of vegetable plots with common vegetables planted into it like kalabasa, sitaw, patola, talong, kamatis, ampalaya and others. This is also supported by artists and celebrities who advocated OMG like Anne Curtis, Sarah Geronimo, Cristine Reyes, Mark Bautista Sam Pinto and more. OMG! 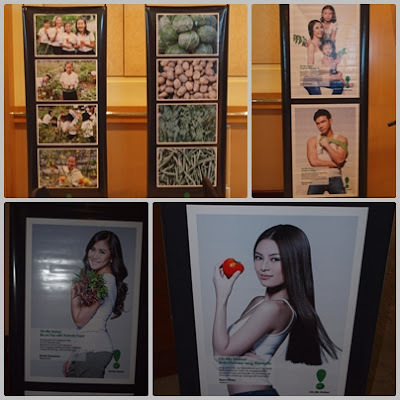 Lead Convenor Senator Angara said that "this battle not only create a greater awareness about the wonders of vegetable consumption, but also by empowering children, their schools and their families to produce and enjoy their own vitamin and mineral-rich vegetables". This was reinforced by DepEd Secretary Bro. Luistro and stated that "despite our educational system beset with so many problems, don't allow ourselves neglect one fundamental cause of dwindling quality of education: malnutrition in schoolchildren"
It is very productive day to start with and I myself motivated to plant even vegetable like mongo, i'll try that one later let's see if its effective in that way hehehe... I think I need more healthy soil to sustain it first. Or i'll just buy vegetable on the grocery and leave it to the schoolchildren.But I will try promise. :)) Thanks for reading friends please don't hesitate to share.